Located one degree north of the equator, the world’s only island city-state, Singapore, has a lot to offer to any type of traveler. 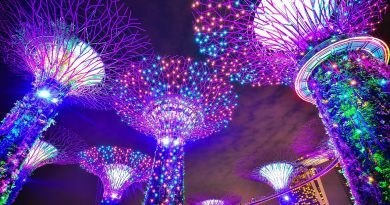 From the Marina Bay to the impressive botanical garden, and from the Singapore Flyer to the underwater world – and from the Granite Island (Palau Ubin) to the vibrant nightlife, there are so many things to see and do that you’ll having a really hard time picking just a few for your trip to Singapore. Whether you travel for leisure or for business purposes, this city-state, with its vibrant history and diverse ethnic quarters to discover has it all. As a side note, for the third year in the row, Singapore topped the Economist Intelligence Unit’s 2016 Worldwide Cost of Living survey and is the world’s most expensive city. So let’s see what you can do and see in this amazing city. 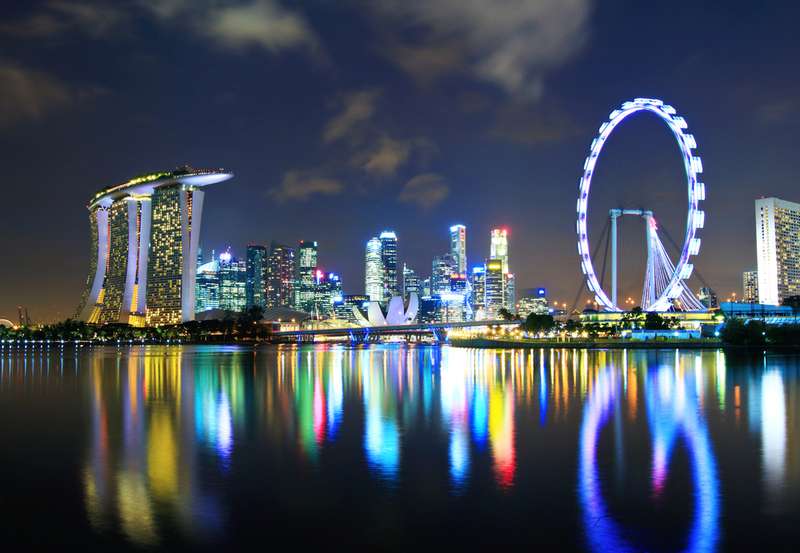 The Singapore Flyer is the world’s largest giant observation wheel (165-meter-high). The 30-minute ride will give you a chance to admire the city’s downtown skyscrapers and if you take this ride at dusk, the skyline is truly impressive. You cannot go to Singapore and not see the Marina Bay – in fact, the city’s most spectacular side. 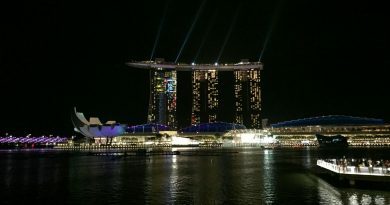 Keep in mind that the Marina Bay (a free attraction) is illuminated by a mesmerizing – and award winning – laser show daily, starting 20:00. 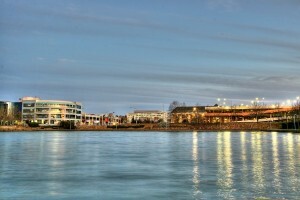 The complex is quite impressive and features several important attractions. The Sands SkyPark will give you the chance to see Singapore’s skyline (yes, there are multiple places that offer amazing views of the city); the ArtScience Museum in Singapore will surprise you with its design (the design includes a lotus flower) as well as with its more than 20 galleries, an invitation to find out more about Singapore’s history and science (the exhibitions vary, so be sure to check the museum’s website for more details). 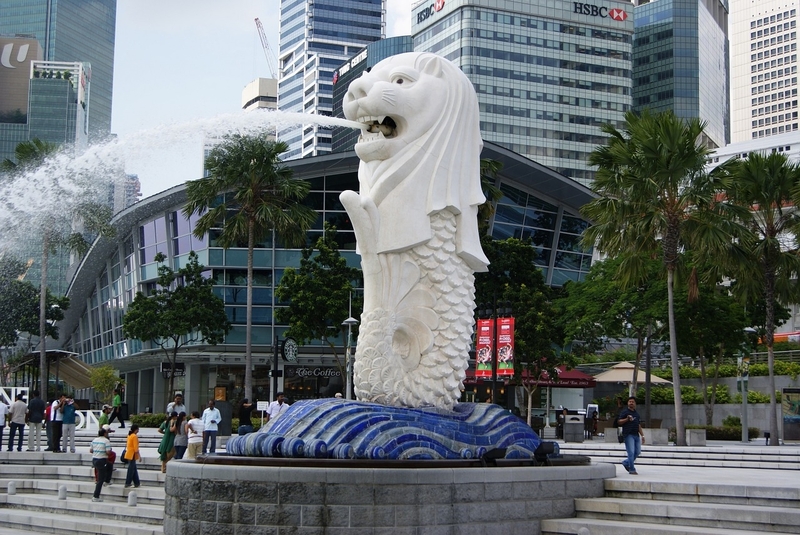 Another landmark of the city, the Merlion is a mythical symbol of Singapore. The 70-tonne, water-spouting Merlion is indeed impressive and you can relax while in the area. Imagine a park with trees that are not made of wood. Seems hard? It is futuristic, true, but also impressive. That’s why you should definitely include the Gardens by the Bay on your itinerary while in Singapore. This is „a City in a Garden” that „captures the essence of Singapore as the premier tropical Garden City with the perfect environment in which to live and work – making Singapore a leading global city of the 21st century.”, as the official website mentions. And since it is easy to find corporate serviced apartments for business travelers in Singapore, you can perfectly combine your business purposes with visits in various parts of the city, in order to discover what makes it unique, to understand it, to enjoy the famous landmarks, but also go beyond these ones. Open 5 a.m. to midnight, the Singapore Botanic Gardens (a UNESCO World Heritage Site) are a great place to go to if you want to unwind. You can go there very early in the morning and maybe do a little jogging to start the day fresh – or you can go there in the evening, or during the day for a long, enjoyable walk. Either way, this place will mesmerize you – with its virgin rain forest, the National Orchid Garden (home to 1,000 orchid species and 2,000 hybrids), eco-lake, bonsai garden, the sculptures, and many other gardens. Pulau Ubin, also known as Ubin Island, is one of the few rural areas that can be found in Singapore. Go here if you want to discover the local fauna and flora – you won’t regret it. It will be a trip that will get you closer to nature! If you want to have a look (experience as close as possible) the late-19th century and early-20th century of Singapore, then this part of the city is a not to miss one on your visit. The Chinatown is an icon of Singapore – and, while in the area you can enjoy authentic Chinese food or go see the Thian Hock Keng Temple and the Buddha Tooth Relic Temple. Located east of the Singapore River, the Little India is another famous place in Singapore. Colourful and diverse, this part of Singapore lures tourists not only for shopping sessions, but also with the tasty Indian food. 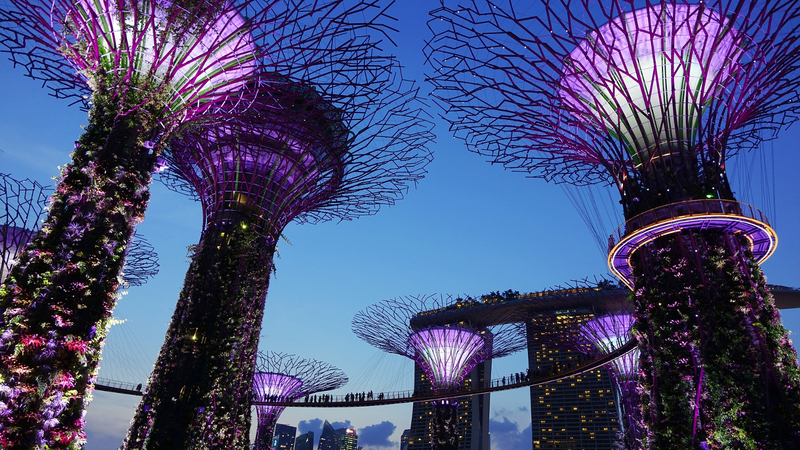 As you can easily notice, there are many great places to discover in Singapore – and the list above is not exhaustive! 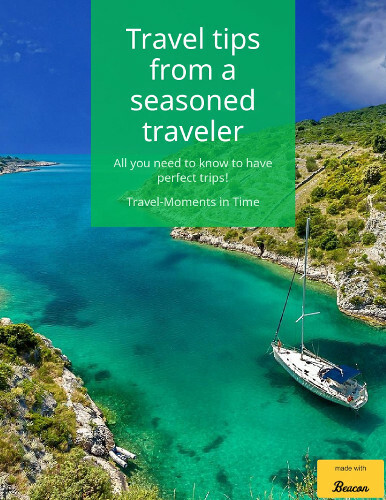 – another reason to go visit this part of the world! Hey I enjoyed your post. I loved the lights shows so much and must have watched them 6 times i think! Especially the one at the waterfront! I wrote this post from my time there. Your photos are better than mine! Thanks for the sharing. I always go gardens by the bay when I visit Singapore. Planning to go during Christmas Time again. The following time I learn a blog, I hope that it doesnt disappoint me as much as this one. I imply, I know it was my option to learn, but I truly thought youd have something attention-grabbing to say. All I hear is a bunch of whining about something that you may fix in the event you werent too busy searching for attention.